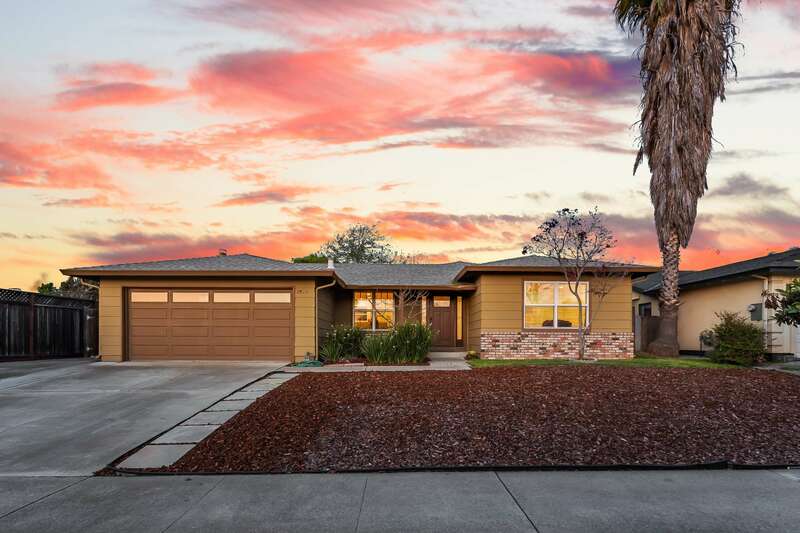 This gorgeous Evergreen home is “move-in ready!” Featuring an open and bright floor plan accentuated with tasteful updates such as bamboo flooring, dual pane windows. recessed lighting and solar-panel system. Hosting formal or informal gatherings is easy, as this home boasts both a separate step-down formal living room, as well as a common kitchen and family room. Entertain during meal preparations in the recently updated kitchen featuring custom cabinetry, quartz countertops, stainless steel appliances, and an expansive breakfast bar perfect for casual dining. The sunken family room is highlighted by a cozy wood-burning fireplace and features a sliding-glass door that allows the entertainment to flow effortlessly into the backyard. All the bedrooms are well sized. The hall bathroom was recently updated with tile flooring, new vanity, and features a shower over the bathtub with custom tile surround. The master bedroom is located privately at the rear of the home and features two spacious closets as well as an updated en-suite bathroom with new vanity, tile flooring and shower stall with modern glass enclosure. The expansive backyard features a large concrete patio, storage shed, mature landscaping and plentiful room for backyard gardening. A convenient side gate allows for parking of recreation vehicles in the side yard or backyard. Top public schools include Millbrook ES, Quimby MS and Evergreen Valley HS. Numerous shopping, dining and entertainment options within close proximity.